Thank you for your interest in TJ Propane. We are a locally owned and operated propane company. We opened in 1991 with the goal of providing Northwest Ohio with an alternative in propane service. We operate with an independent attitude, and strive to provide you with the best service possible at a reasonable price. Our main office and storage facility is located at 21960 U.S. Highway 6 in Weston, Ohio. We also have storage facilities located near Van Buren, Holgate, Bradner, and Bowling Green. From these locations we service eleven Northwest Ohio Counties, including all of Wood, Henry, Hancock, and Putnam Counties. We also serve portions of Defiance, Fulton, Lucas, Ottawa, Paulding, Sandusky, and Seneca Counties. At TJ Propane, our customer is the most important part of our business which is why all your calls are answered locally. 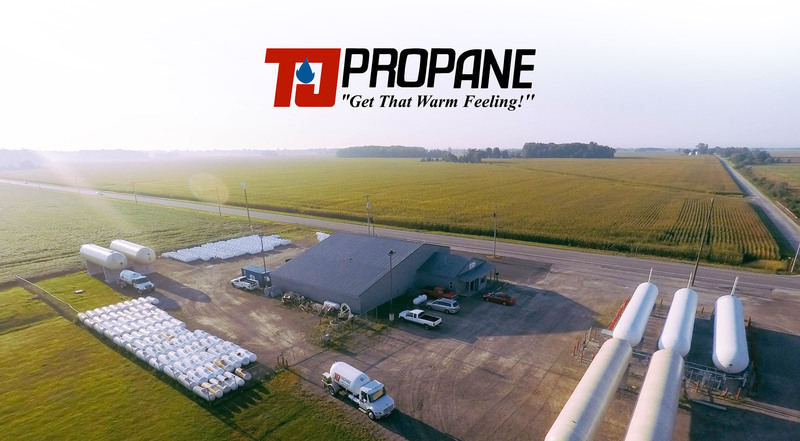 We provide all our customers with competitive propane prices, reliable propane delivery and exceptional customer service, to keep your home and family warm all winter long. We’re available any day of the week for any type of service. Let us know your needs and details. We strive for perfection. One of our technicians will safely fill, install, or troubleshoot. We rigorously cover our 10 Point Checklist and confirm your lines are trouble free.